In this week’s Adventist news round-up, Adventist Health Feather River Hospital was evacuated and multiple media outlets report destroyed in massive California fire, a fired Muslim is awarded $3.2 million in discrimination suit against Loma Linda University Medical Center, Adventist Church denied recognition in Ukraine, Adventists challenge Nigerian government over Saturday voting, U.S. Supreme Court case filed in Walgreens firing of Adventist employee, Atlantic Natural Foods introduces new plant-based meals in U.S. and U.K., and new Glendale Adventist Academy principal hails from Nigeria. 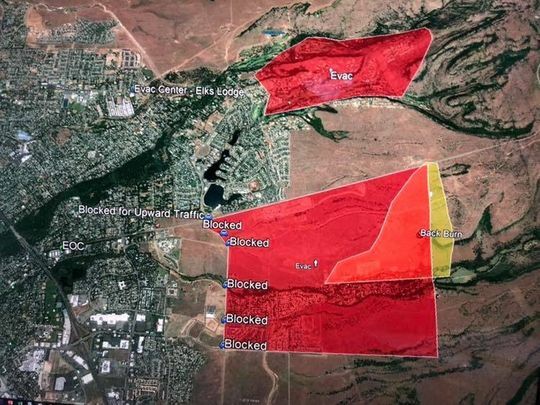 Adventist Health Feather River Hospital Closed, Possibly Destroyed, Due to Camp Fire. According to the California Highway Patrol, reports of a small fire in the canyon came in around 6:30 a.m. on November 8. By 9 a.m., the fire was estimated at 2,500 acres, and by 1 p.m. was at 8,000 acres, but is now estimated at over 20,000 acres according to the California Department of Forestry and Fire Protection. A note on the Adventist Health Feather River website said: “Our thoughts and prayers go out to everyone in our community during this challenging time. Due to the current Camp Fire, Adventist Health Feather River is closed. All patients have been safely evacuated and transported to Oroville Hospital or Enloe Medical Center.” At 3 p.m., hospital spokeswoman Jill Kinney said clinics and other outbuildings were on fire or had been damaged, but the main hospital was untouched. By 4:28 p.m., it was reported that the hospital had been destroyed, but later reports from Butte County Supervisor Doug Teeter said he believed the old portion of Feather River Hospital had burned, but a newer addition was safe.